“Our mission is to democratize alpha in the investment management business”(John Fawcett, CEO). . 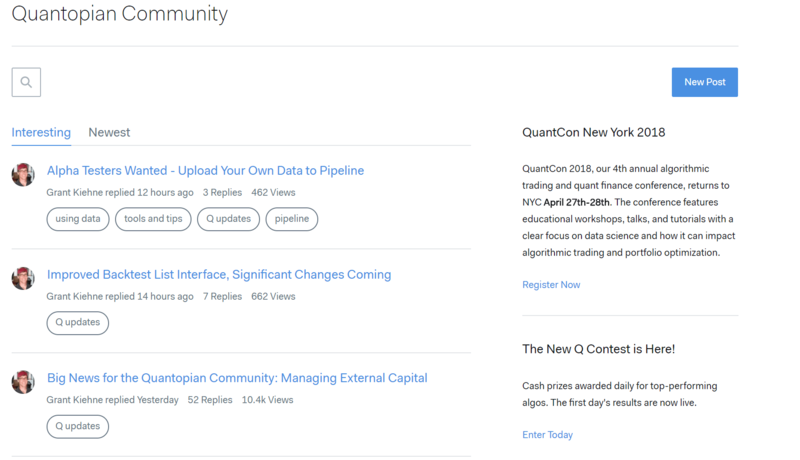 Founded in 2011, Quantopian aims to create a crowdsourced hedge fund. This might be one of the most innovative and ambitious ways to use wisdom of crowd to create alpha. 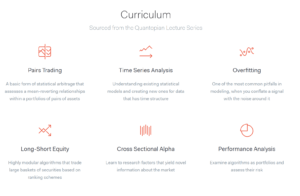 Freelance quants or coders can develop, test and use their algorithms to trade securities in Quantopian’s hedge fund platform. Quantopian pick the best algorithms and compensate the developers based on return generated. Quantitative trading is on the rise with development of technology, data and computational power. By 2017, quantitative trading accounts for 60% of all US equities versus 30% a decade earlier. 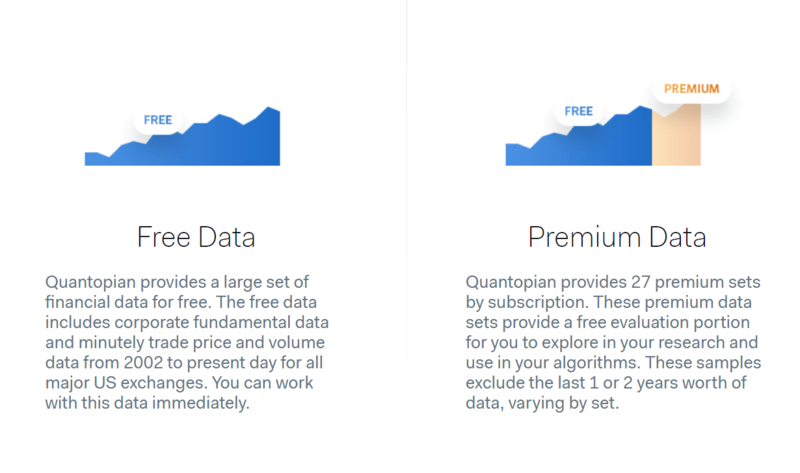 Quantopian provides tools and data for quant developers to come up with investment algorithms. After, freelancers create and share the algorithms, Quantopian managers evaluate them to pick the investable ones. Selected algorithms got a licensing offer and tested with small capital. When algorithms generate returns, the developer gets a share. Quantopian is responsible for handling the rest including capital raising and trading execution. 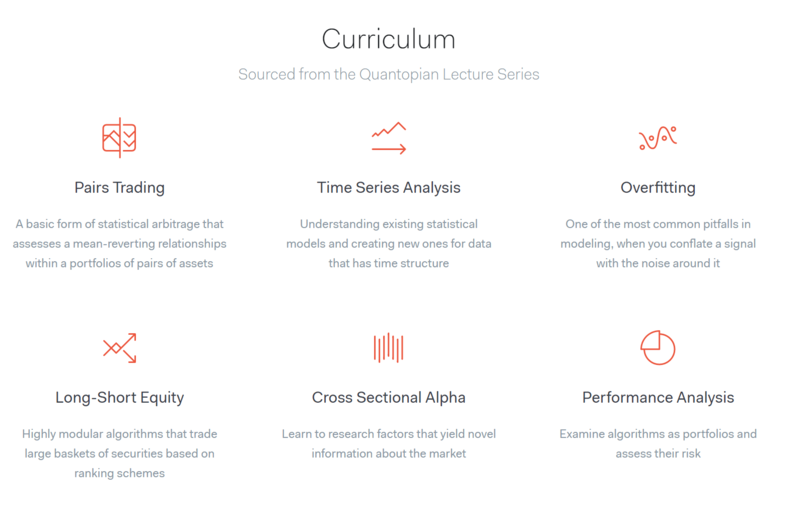 Another critical task for Quantopian is to create uncorrelated and diversified portfolio of algorithms. Business model has been able to attract 100K users and 700K algorithms so far. Quantopian offers both financial resources and toolbox for freelance quants. Main premise is to provide performance-based profit sharing. If an algorithm is good enough to get capital allocation and generate returns, developers get 10% of the net profit. Developers also can participate in contest to win the prize money. On top of financial returns, developers have access to capital, data and software provided by the platform. In addition, Quants do not need to handle day-to-day algorithm operations. They are fully incentivized to focus on creating best in class investment algorithms. Last but not the least, intellectual property rights will be owned by developers. Hence, this is a great platform for quants, researchers, coders to test their investment ideas. Besides, in order to educate and engage the community, firm organizes online forums and workshops with the developers. They also organize online-offline events to bring quants together in real life. 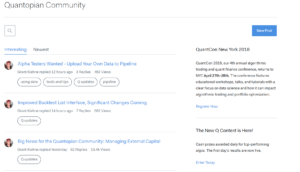 QuantCon is a biannual convention to foster offline engagement. Crowd-sourcing investment algorithms create value both developers and investors by bridging the gap between talent and capital. Beating the market is a tough challenge. With the help of wisdom of crowd, innovative algorithms could be developed and leveraged to create positive returns for investors. 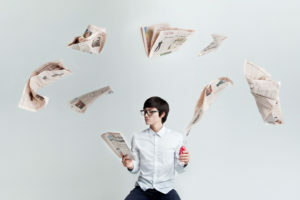 Unlocking the potential of underutilized researchers, coders, investment enthusiast could eventually lead to state-of-the-art investment algorithms. Another important value creation for developers to give them opportunity to test their ideas with real capital. Investors are also able to get access to this trial platform. Quantopian is able to capture the value by getting the portion of positive returns. Indirect network effects are obvious. The more algorithms to test, the higher chances to beat the market and generate alpha. Unlike the many other crowd-sourcing platform, hedge fund business is ultra-performance driven with complete transparency. Virtuous cycle was clear: The higher the returns, the higher the capital. Hence, the main task is to source, incentivize and return the highest return generator algorithms which creates significant challenges. Crowd-sources hedge fund model has similarities with venture capital model. Investors are providing seed money betting on new risky ideas hoping to pick the best ones. Last but not the least, Quantopian creates value by discovering hidden global talents and giving them access to US capital and resources. Global talent from 180 countries is contributing to the platform. Despite the innovative business model, crowdsourcing for a hedge fund brings sizeable challenges. Dis-intermediation is the biggest of them. Quantopian doesn’t own the intellectual property. Hence, any winner algorithm that is tested with real capital has option to leave the platform and raise the capital for their own hedge fund. The usual hedge fund works with 2-20 structure which means get 20% of positive returns. 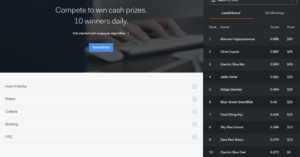 10% offered by Quantopian is not enough to retain winners. However, as VCs do, Quantopian can offer higher compensation scheme , partnership for the owners of winner algorithms or pay for the intellectual property rights to fight against disintermediation. Another important challenge with the platform, there is no direct network effects or economies of scale to create an edge in case of a competition. Even if this model becomes successful, it can be replicated with others. Having had low multi-homing costs between different providers, developers would try all. Final challenge is the inherently long test periods and cycles in hedge fund business. In order to prove the legibility of an alpha creating algorithm, you may need years. I read recently that quant funds performed very badly during the recent market dip, hinting at them only really being useful in bull markets. I wonder if Quantopian is another example of this. If they are paying out to developers without seeing how these algorithms fair over a sustained period of time, they may be overpaying for the algorithms value. Quantopian is a great idea in theory, but in practice I think it is incredibly lacking – for many of the ideas you mentioned as well as others. Creating a promising quant investment strategy requires both idea generation and portfolio construction/risk management. This platform uses crowds to try and supplement the idea generation component, but the way in which they do so severely hinders the ability for the fund to execute on portfolio construction (I’d also say their approach to idea generation with 14 years of data is also inherently limiting). In order to protect the contributor’s ownership of the algorithm, the platform never has full access to the code. 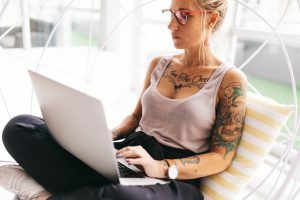 Without full access to any individual piece, it is very challenging for them to combine ideas in a meaningful way while also ensuring they are not duplicating risks. Any value they create on the idea generation component is likely sacrificed in what they have to give up in portfolio construction. For this reason, I am also heavily skeptical that this platform will create any true value over time.